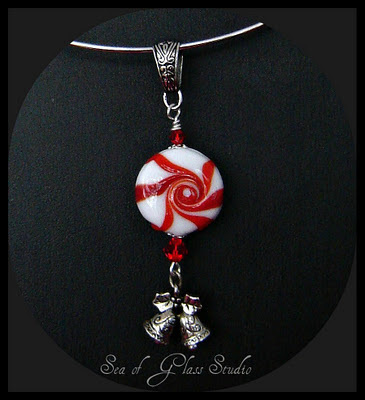 A friend asked whether I could make beads that look like peppermint candies. Sure! I said, but it's been awhile. Hmm...it might be time to light the torch. This one is sold, but I'm ready to make more. Sa-weet! Cis- that looks so real !!! really a cute idea !!! great job !!!! 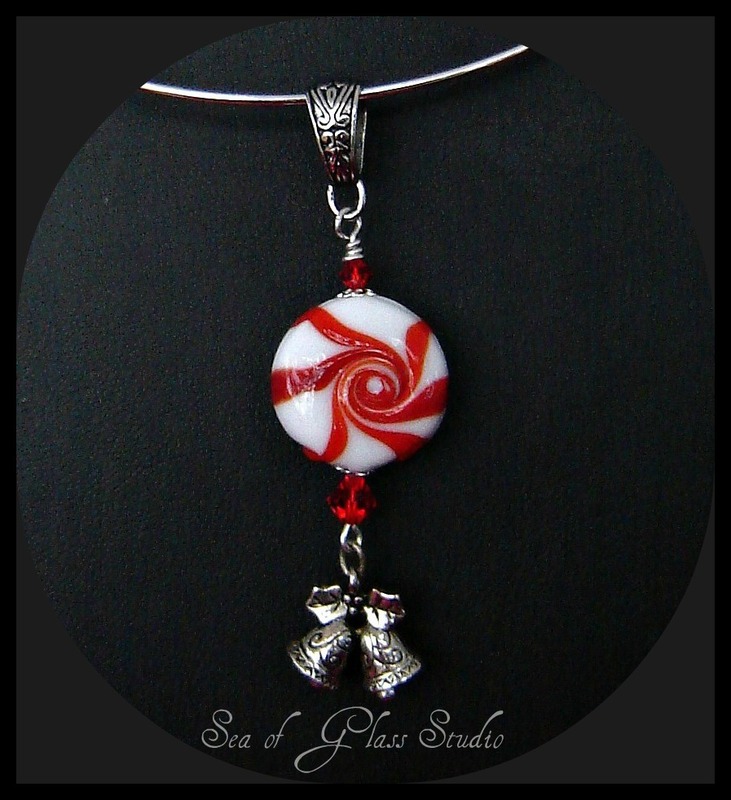 Wow that really does look like a real peppermint candy, great job! Very nice indeed... no wonder the necklace got snapped up so quickly!